As a seller on folksy I think it’s good to appreciate all the other lovely hand crafted work that is on there so every now and again I will be doing a ‘Folksy Friday’ blog post of some of my favourite items that I’ve found that week. This lovely brooch is made by ‘made with love‘. 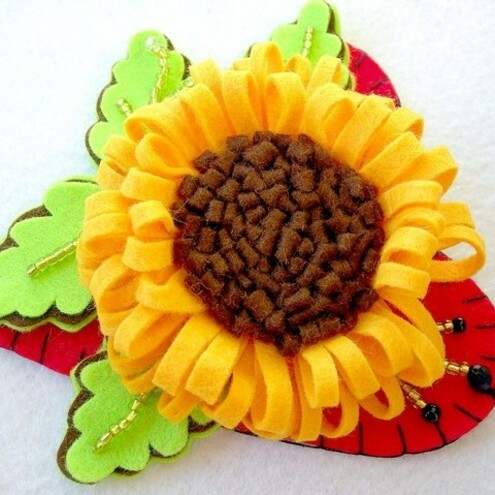 I really like the detail on the leaves as well as the effect the different layers of felt have. Really effective! I absolutely love this wreath by ‘Pauline’s Crafts‘. I think it’s been beautifully put together. 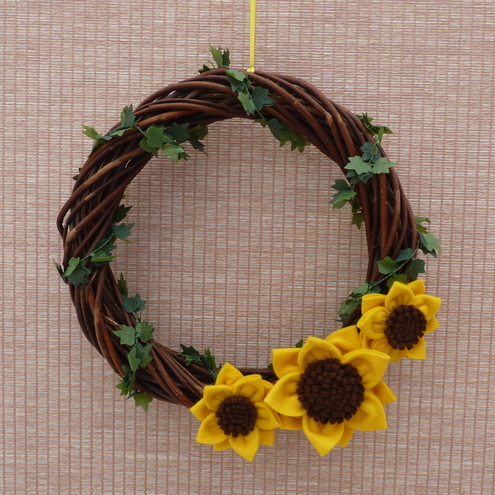 The ivy and the sunflowers compliment the colour of the wreath really well. Stunning! Although I’m in denial that Autumn is on it’s way deep down I know it is (it’s our towns autumn show this weekend). 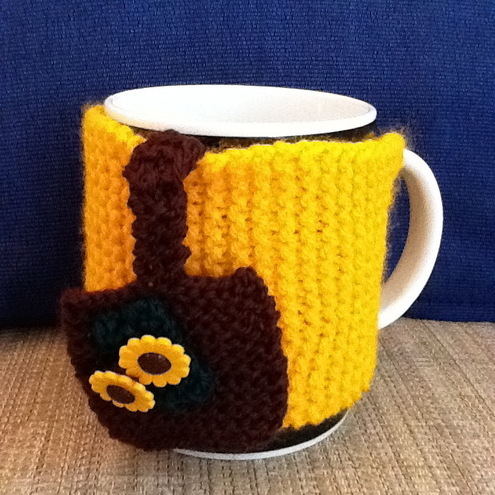 What better way to enjoy a comforting mug of hot chocolate than to have this sweet little ‘Mug Hug‘? 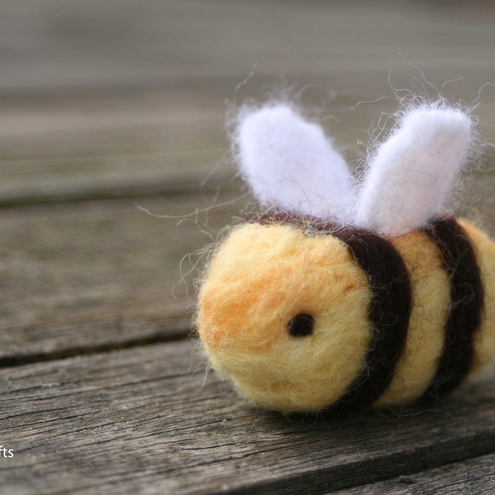 Finally I just had to add this little fellow from ‘BeeBeeCraft‘. I think ‘Bertie’ suits him! I especially like the picture of all the bees in the window (you’ll have to check out the shop see what I mean). Well that concludes this Folksy Friday. Hope you’ve enjoyed looking at pretty things as much as I have!